Lot 22 Bronze Rectangular Steam Locomotive Worksplate. 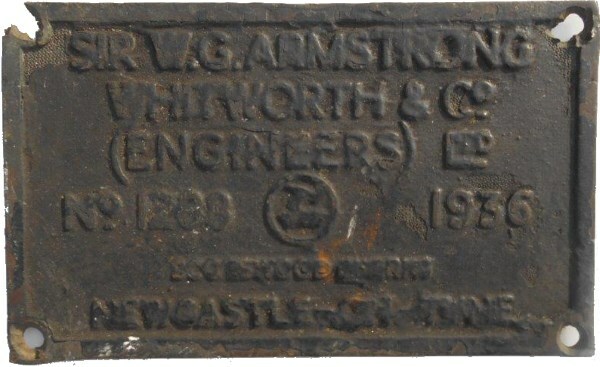 Armstrong Whitworth Works No 1288 - 1936. As carried by a Black 5 4-6-0 No 45233. Allocations included Hereford, Newton Heath, Trafford Park. Ex Loco condition. Withdrawn 5/66. Broken top left corner.